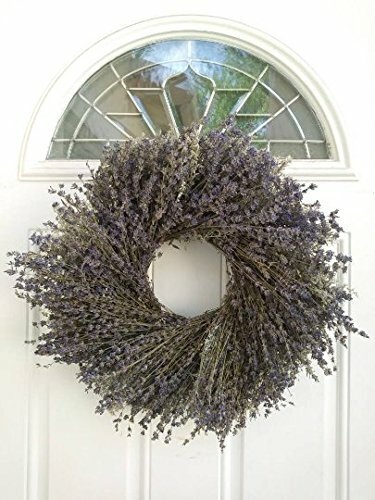 Marseille Natural Dried Lavender Wreath - Fragrant and Beautiful Real Wreath For Decorating Or Gifting - Grown and Handcrafted In USA - 17.5 Inches - Display In Summer, Spring, Fall, And Winter. This Lavender Wreath is arranged on a base of Artemisia. Also know as Silver King. If you have any questions about this product by THE GATHERING GARDEN, contact us by completing and submitting the form below. If you are looking for a specif part number, please include it with your message. Darice 2802-71 Grapevine Wreath 14"